Hi, I'm Mark Slade and I'm here to help you Sell or Buy your Maplewood/South Orange/Millburn/Short Hills/Montclair area home. I am an ABR and SFR certified Realtor®, specializing in the Bedroom Communities of New York City in Essex, Union & Morris County— which also includes Livingston, Springfield, Summit, Madison, Chatham, Scotch Plains and Westfield. As a former Fashion Industry EVP, my focus is on homes in the Bedroom Communities of New York City, mostly served by NJ Transit’s Mid-Town Direct Train Lines, offering commutes of 45 minutes or less to NY Penn Station. Whether you want help finding the right house to turn into the most welcoming of homes for you and your family to enjoy or you want to get the most for your home when you have decided to put it up for sale, you can count on Mark Slade. 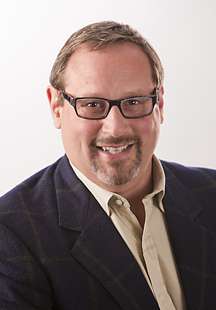 Mark is one of Keller Williams Mid-Town Direct Realty’s fastest growing area Realtors, is both ABR (for Buyer's) and SFR certified and is able to provide expertise in interior design consulting. Want To Know How Much Your Home is Truly Worth? Mark is trained in the techniques of Advanced CMA--Comparable Market Analysis--in order to better approximate the value of your home or to better pinpoint what a home you are trying to buy is worth. Mark is averaging 98% of List Price for his Sellers! At the same time Mark is SFR Certified, has a proven record of success selling Short Sales, is up to date on HAFA and HAMP programs. He is very empathetic to your situation and provides you a discreet consultation if you are behind on your mortgage or you owe more than your home is worth. If you are buying a home, Mark has negotiated his buyer client transactions to 95% of List Price this year, his negotiating skills stemming from his study of Economics at Brandeis University. He can provide invaluable architectural and interior design assistance (he attended Harvard's Graduate School of Design & Parson's for Interior Design). He is also a former nominee for a National Trust for Historic Preservation Honor Award, has helped to turn unused school buildings into productive spaces in Massachusetts for EOCD (Economic Offices of Community and Development), has been active in local design and redevelopment committees in Maplewood, a runner of the NYC Marathon, a former Executive Vice President in the fashion industry and is the father of two, one now a senior in college and the other attending Tuscan Elementary School in Maplewood, NJ. Mark Slade, ABR, SFR - Your Local Real Estate Listing and Buyer Specialist! Manage sales for both buyers and sellers of real estate in the Bedroom Communities of NYC. Tech Coordinator and Trainer for Keller Williams. Blogger and Social Media Trainer and Consultant. Creator of Open House Websites. Managed Sales, Marketing, Branding and Merchandising for this $150 Million Fashion company. Managed Sales, Marketing, Branding, Merchandising and Production for this $350 million company.